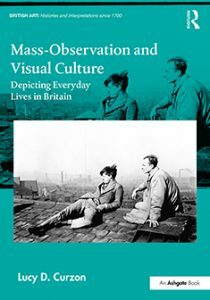 Associate Professor of Art History Lucy Curzon’s new book, Mass-Observation and Visual Culture: Depicting Everyday Lives in Britain, has been awarded the Historians of British Artist Book Award for Exemplary Scholarship on the Period after 1800. The prize committee found Curzon’s book, published by Routledge in 2017, “theoretically sophisticated and convincingly argued, a timely and important volume on the anthropological research group Mass-Observation and its attitudes towards visual culture.” It is the first full-length study of the art produced under the auspices of the group. 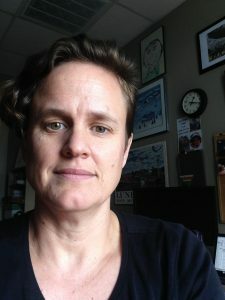 Curzon’s research focuses on issues of identity politics as they concern the production of visual culture in twentieth-century Britain. She has previously published work on LGBTQ+ portraiture, as well as articles or chapters on the Ashington Group and Humphrey Spender’s photographs of Blackpool in the 1930s. She regularly presents her work at national and international conferences. To read more about Dr. Curzon and her new book, go here. Since 1997, Historians of British Art (HBA) has awarded three prizes each year for books on British art in the following categories: pre-1800, post-1800 and multi-authored book. HBA is an affiliate society of the College Art Association and was formed to promote scholarship and other professional endeavors related to British art and architecture. For more information about The University of Alabama’s Department of Art and Art History degree programs, go to our website.